WALTHAM – The Cotton Blossom has been steaming along the American theatrical scene since 1927. The musical “Show Boat,” with music by Jerome Kern and lyrics and book by Oscar Hammerstein II, based on Edna Ferber’s novel, chronicles 40 years – from 1887 to 1927 – in the lives of the performers, stagehands and dock workers who make a living from the floating theater on the Mississippi known as the Cotton Blossom. The Reagle Music Theatre has fashioned a handsome, well-wrought production based on the Goodspeed Musicals production of this American classic, running through Sunday at the Robinson Theatre. Producing Artistic Director Robert Eagle has filled the stage with what he knows his audiences appreciate: A large cast, handsomely costumed, a well-performed score, and strong actors in principal roles, augmented by Reagle regulars and some up-and-coming young talent. It is a formula that has stood the theater in good stead for almost a half-century. The part of Magnolia Hawks requires a voice that can stand up against the instrument of Dublin-born Broadway veteran Ciaran Sheehan as her husband Gaylord Ravenal, and Sheehan comes replete with an imposing stage presence threatens to overwhelm everyone else on stage. 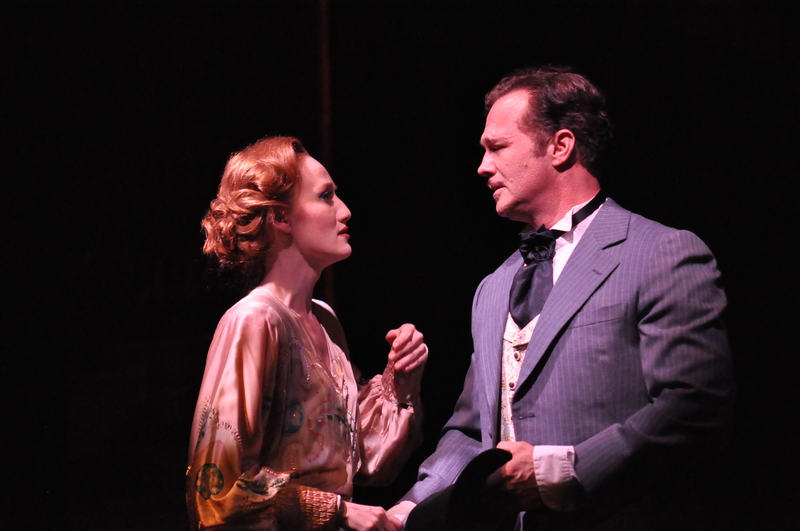 Sheehan slides easily into the role of Gay Ravenal, a riverboat gambler who joins the “Show Boat” as its dashing new leading man, capturing Magnolia’s heart and eventually becoming her husband. His luck turns and with it starts a downward spiral for the couple and daughter Kim. There are some fine supporting efforts behind the two leads. Reagle favorite Rick Sherburne is up to the task as the good-hearted Cap’n Andy Hawks, major domo of the Cotton Blossom, whose “one big happy family” is constantly being buffeted by forces beyond his control, with issues such as miscegenation, racial prejudice, and ultimately his daughter’s unhappy marriage rearing their ugly heads..
His wife is the prickly Parthy Ann Hawks (Susan Scannell Gilbert), who is at odds with her husband at almost every turn and is not shy about telling him about it. 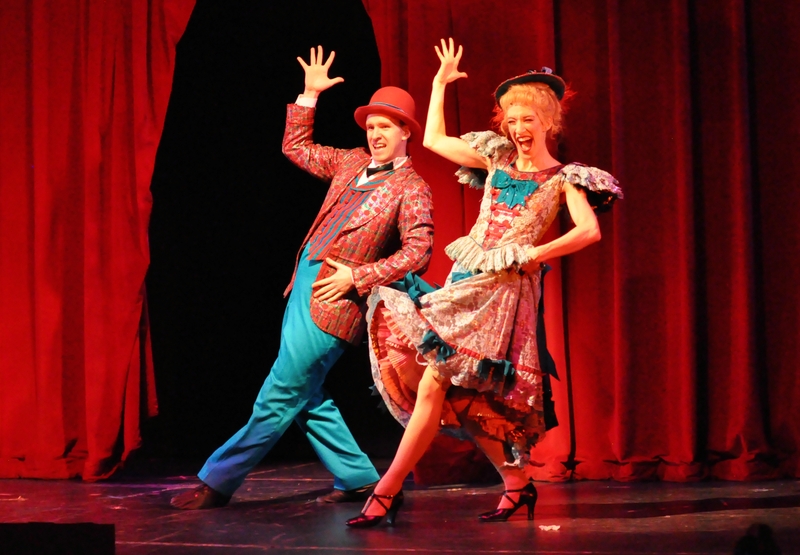 Another of the sparkling support efforts comes from Joy Clark as Ellie May Chipley, a talented comic and nonpareil dancer whose dancing duets with Kevin Patrick Martin as husband Frank Schulz enliven every number they’re in. Michel Bell reprises his Tony-nominated role in Hal Prince’s 1995 Broadway production of “Show Boat” as Joe and his thrilling performance of the iconic “Ol Man River” and its reprises are vocal highlights, and he also shines in his charming scenes with Yewande O. Odetoyinbo as Queenie. At a recent performance, Dani Wrenn was still finding her way in the part of Julie, the mixed race signer whose life is in constant turmoil after being forced to leave the Cotton Blossom; her vocals at that point weren’t quite up to the level of others in the cast . 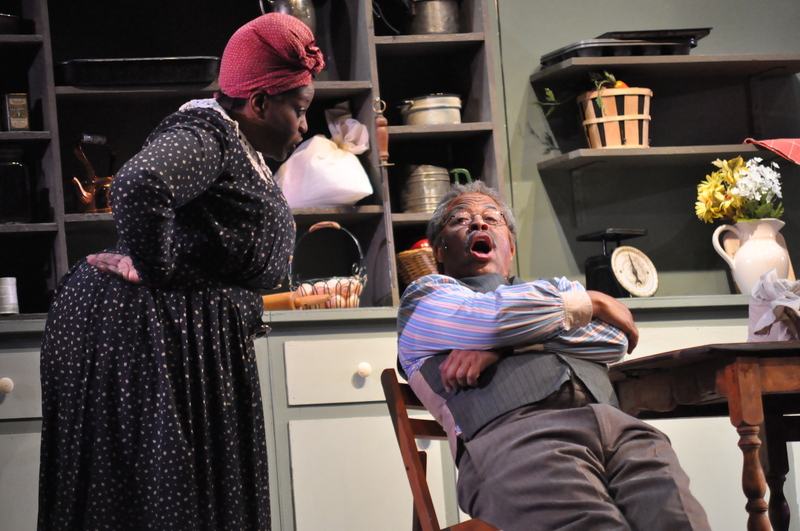 The production numbers benefit from a spirited ensemble that includes well-regarded local actors such as Tavon Gamble, Davron S. Monroe, and Todd Yard. Director/choreographer Rachel Bertone has earned a reputation for production numbers with energy and creativity, often bringing her charges even further than they thought they could go, the mark of a strong leader. It’s no surprise numbers such as “Can’t Help Lovin’ Dat Man” and “After the Ball” shine. This “Show Boat” will be steaming along the stage of the Robinson Theatre through Sunday, and is a worthy re-telling of a classic that wears its age well.